Looking, with late Italian historian Guglielmo Ferrero, at the facts cited by the ancients as examples of corruption in the Roman Empire. remedies we need to cure them. The same dark thought, expressed in a thousand forms, is found in almost every one of the Latin writers. This theory has misled and impeded my predecessors in different ways: some, considering that the writers bewail the unavoidable dissolution of Roman society at the very time when Rome was most powerful, most cultured, richest, have judged conventional, rhetorical, literary, these invectives against corruption, these praises of ancient simplicity, and therefore have held them of no value in the history of Rome. Such critics have not reflected that this conception is found, not only in the literature, but also in the politics and the legislation; that Roman history is full, not only of invectives in prose and verse, but of laws and administrative provisions against luxuria, ambitio, avaritia–a sign that these laments were not merely a foolishness of writers, or, as we say to-day, stuff for newspaper articles. 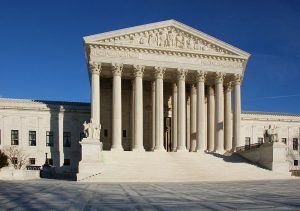 Other critics, instead, taking account of these laws and administrative provisions, have accepted the ancient theory of Roman corruption without reckoning that they were describing as undone by an irreparable dissolution, a nation that not only had conquered, but was to govern for ages, an immense empire. In this conception of corruption there is a contradiction that conceals a great universal problem. Stimulated by this contradiction, and by the desire of solving it, to study more attentively the facts cited by the ancients as examples of corruption, I have looked about to see if in the contemporary world I could not find some things that resembled it, and so make myself understand it. The prospect seemed difficult, because modern men are persuaded that they are models of all the virtues. Who could think to find in them even traces of the famous Roman corruption? In the modern world to-day are the abominable orgies carried on for which the Rome of the Cæsars was notorious? Are there to-day Neros and Elagabaluses? He who studies the ancient sources, however, with but a little of the critical spirit, is easily convinced that we have made for ourselves out of the much-famed corruption and Roman luxury a notion highly romantic and exaggerated. 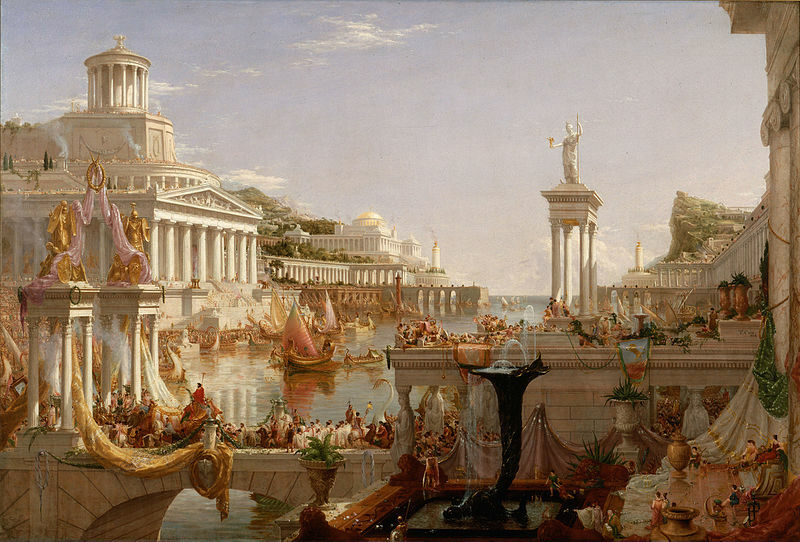 We need not delude ourselves: Rome, even in the times of its greatest splendour, was poor in comparison with the modern world; even in the second century after Christ, when it stood as metropolis at the head of an immense empire, Rome was smaller, less wealthy, less imposing, than a great metropolis of Europe or of America. Some sumptuous public edifices, beautiful private houses–that is all the splendour of the metropolis of the empire. He who goes to the Palatine may to-day refigure for himself, from the so-called House of Livia, the house of a rich Roman family of the time of Augustus, and convince himself that a well-to-do middle-class family would hardly occupy such a house to-day. 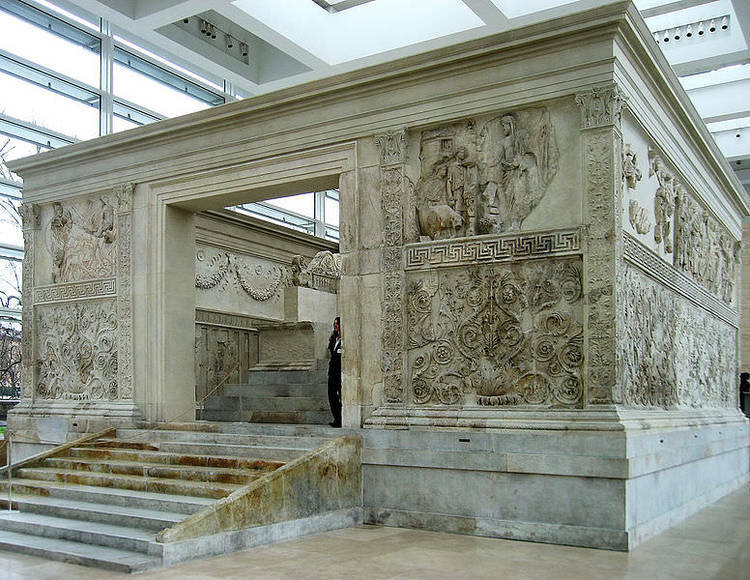 Moreover, the palaces of the Cæsars on the Palatine are a grandiose ruin that stirs the artist and makes the philosopher think; but if one sets himself to measure them, to conjecture from the remains the proportions of the entire edifices, he does not conjure up buildings that rival large modern constructions. The palace of Tiberius, for example, rose above a street only two metres wide–less than seven feet,–an alley like those where to-day in Italian cities live only the most miserable inhabitants. We have pictured to ourselves the imperial banquets of ancient Rome as functions of unheard of splendour; if Nero or Elagabalus could come to life and see the dining-room of a great hotel in Paris or New York–resplendent with light, with crystal, with silver,–he would admire it as far more beautiful than the halls in which he gave his imperial feasts. Think how poor were the ancients in artificial light! They had few wines; they knew neither tea nor coffee nor cocoa; neither tobacco, nor the innumerable liqueurs of which we make use; in face of our habits, they were always Spartan, even when they wasted, because they lacked the means to squander. The ancient writers often lament the universal tendency to physical self-indulgence, but among the facts they cite to prove this dismal vice, many would seem to us innocent enough. It was judged by them a scandalous proof of gluttony and as insensate luxury, that at a certain period there should be fetched from as far as the Pontus, certain sausages and certain salted fish that were, it appears, very good; and that there should be introduced into Italy from Greece the delicate art of fattening fowls. 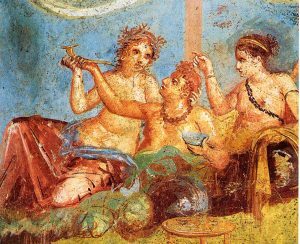 Even to drink Greek wines seemed for a long time at Rome the caprice of an almost crazy luxury. As late as 18 B.C., Augustus made a sumptuary law that forbade spending for banquets on work-days more than two hundred sesterces (ten dollars); allowed three hundred sesterces (fifteen dollars) for the days of the Kalends, the Ides, and the Nones; and one thousand sesterces (fifty dollars) for nuptial banquets. It is clear, then, that the lords of the world banqueted in state at an expense that to us would seem modest indeed. And the women of ancient times, accused so sharply by the men of ruining them by their foolish extravagances, would cut a poor figure for elegant ostentation in comparison with modern dames of fashion. For example, silk, even in the most prosperous times, was considered a stuff, as we should say, for millionaires; only a few very rich women wore it; and, moreover, moralists detested it, because it revealed too clearly the form of the body. Lollia Paulina passed into history because she possessed jewels worth several million francs: there are to-day too many Lollia Paulinas for any one of them to hope to buy immortality at so cheap a rate. I should reach the same conclusions if I could show you what the Roman writers really meant by corruption in their accounts of the relations between the sexes. It is not possible here to make critical analyses of texts and facts concerning this material, for reasons that you readily divine; but it would be easy to prove that also in this respect posterity has seen the evil much larger than it was. Why, then, did the ancient writers bewail luxury, inclination to pleasure, prodigality–things all comprised in the notorious “corruption”–in so much the livelier fashion than do moderns, although they lived in a world which, being poorer and more simple, could amuse itself, make display, and indulge in dissipation so much less than we do? This is one of the chief questions of Roman history, and I flatter myself not to have entirely wasted work in writing my book above all, because I hope to have contributed a little, if not actually to solve this question, at least to illuminate it; because in so doing I believe I have found a kind of key that opens at the same time many mysteries in Roman history and in contemporary life. The ancient writers and moralists wrote so much of Roman corruption, because–nearer in this, as in so many other things, to the vivid actuality–they understood that wars, revolutions, the great spectacular events that are accomplished in sight of the world, do not form all the life of peoples; that these occurrences, on the contrary, are but the ultimate, exterior explanation, the external irradiation, or the final explosion of an internal force that is acting constantly in the family, in private habit, in the moral and intellectual disposition of the individual. They understood that all the changes, internal and external, in a nation, are bound together and in part depend on one very common fact, which is everlasting and universal, and which everybody may observe if he will but look about him–on the increase of wants, the enlargement of ideas, the shifting of habits, the advance of luxury, the increase of expense that is caused by every generation. Look around you to-day: in every family you may easily observe the same phenomenon. A man has been born in a certain social condition and has succeeded during his youth and vigour in adding to his original fortune. Little by little as he was growing rich, his needs and his luxuries increased. When a certain point was reached, he stopped. The men are few who can indefinitely augment their particular wants, or keep changing their habits throughout their lives, even after the disappearance of vigour and virile elasticity. The increase of wants and of luxury, the change of habits, continues, instead, in the new generation, in the children, who began to live in the ease which their fathers won after long effort and fatigue, and in maturer age; who, in short, started where the previous generation left off, and therefore wish to gain yet new enjoyments, different from and greater than those that they obtained without trouble through the efforts of the preceding generation. It is this little common drama, which we see re-enacted in every family and in which every one of us has been and will be an actor–to-day as a young radical who innovates customs, to-morrow as an old conservative, out-of-date and malcontent in the eyes of the young; a drama, petty and common, which no one longer regards, so frequent is it and so frivolous it seems, but which, instead, is one of the greatest motive forces in human history–in greater or less degree, under different forms, active in all times and operating everywhere. On account of it no generation can live quietly on the wealth gathered, with the ideas discovered by antecedent generations, but is constrained to create new ideas, to make new and greater wealth by all the means at its disposal–by war and conquest, by agriculture and industry, by religion and science. On account of it, families, classes, nations, that do not succeed in adding to their possessions, are destined to be impoverished, because, wants increasing, it is necessary, in order to satisfy them, to consume the accumulated capital, to make debts, and, little by little, to go to ruin. Because of this ambition, ever reborn, classes renew themselves in every nation. Opulent families after a few generations are gradually impoverished; they decay and disappear, and from the multitudinous poor arise new families, creating the new élite which continues under differing forms the doings and traditions of the old. Because of this unrest, the earth is always stirred up by a fervour for deeds or adventure–attempts that take shape according to the age: now peoples make war on each other, now they rend themselves in revolutions, now they seek new lands, explore, conquer, exploit; again they perfect arts and industries, enlarge commerce, cultivate the earth with greater assiduity; and yet again, in the ages more laborious, like ours, they do all these things at the same time–an activity immense and continuous. But its motive force is always the need of the new generations, that, starting from the point at which their predecessors had arrived, desire to advance yet farther–to enjoy, to know, to possess yet more. The ancient writers understood this thoroughly: what they called “corruption” was but the change in customs and wants, proceeding from generation to generation, and in its essence the same as that which takes place about us to-day. The avaritia of which they complained so much, was the greed and impatience to make money that we see to-day setting all classes beside themselves, from noble to day-labourer; the ambitio that appeared to the ancients to animate so frantically even the classes that ought to have been most immune, was what we call getting there–the craze to rise at any cost to a condition higher than that in which one was born, which so many writers, moralists, statesmen, judge, rightly or wrongly, to be one of the most dangerous maladies of the modern world. Luxuria was the desire to augment personal conveniences, luxuries, pleasures–the same passion that stirs Europe and America to-day from top to bottom, in city and country. Without doubt, wealth grew in ancient Rome and grows to-day; men were bent on making money in the last two centuries of the Republic, and to-day they rush headlong into the delirious struggle for gold; for reasons and motives, however, and with arms and accoutrements, far diverse. As I have already said, ancient civilisation was narrower, poorer, and more ignorant; it did not hold under its victorious foot the whole earth; it did not possess the formidable instruments with which we exploit the forces and the resources of nature: but the treasures of precious metals transported to Italy from conquered and subjugated countries; the lands, the mines, the forests, belonging to such countries, confiscated by Rome and given or rented to Italians; the tributes imposed on the vanquished, and the collection of them; the abundance of slaves,–all these then offered to the Romans and to the Italians so many occasions to grow rich quickly; just as the gigantic economic progress of the modern world offers similar opportunities to-day to all the peoples that, by geographical position, historical tradition, or vigorous culture and innate energy, know how to excel in industry, in agriculture, and in trade. Especially from the Second Punic War on, in all classes, there followed–anxious for a life more affluent and brilliant–generations the more incited to follow the examples that emanated from the great metropolises of the Orient, particularly Alexandria, which was for the Romans of the Republic what Paris is for us to-day. This movement, spontaneous, regular, natural, was every now and then violently accelerated by the conquest of a great Oriental state. One observes, after each one of the great annexations of Oriental lands, a more intense delirium of luxury and pleasure: the first time, after the acquisition of the kingdom of Pergamus, through a kind of contagion communicated by the sumptuous furniture of King Attalus, which was sold at auction and scattered among the wealthy houses of Italy to excite the still simple desires and the yet sluggish imaginations of the Italians; the second time, after the conquest of Pontus and of Syria, made by Lucullus and by Pompey; finally, the third time, after the conquest of Egypt made by Augustus, when the influence of that land–the France of the ancient world–so actively invaded Italy that no social force could longer resist it. In this way, partly by natural, gradual, almost imperceptible diffusion, partly by violent crises, we see the mania for luxury and the appetite for pleasure beginning, growing, becoming aggravated from generation to generation in all Roman society, for two centuries, changing the mentality and morality of the people; we see the institutions and public policy being altered; all Roman history a-making under the action of this force, formidable and immanent in the whole nation. It breaks down all obstacles confronting it–the forces of traditions, laws, institutions, interests of classes, opposition of parties, the efforts of thinking men. The historical aristocracy becomes impoverished and weak; before it rise to power the millionaires, the parvenus, the great capitalists, enriched in the provinces. A part of the nobility, after having long despised them, sets itself to fraternise with them, to marry their wealthy daughters, cause them to share power; seeks to prop with their millions the pre-eminence of its own rank, menaced by the discontent, the spirit of revolt, the growing pride, of the middle class. Meanwhile, another part of the aristocracy, either too haughty and ambitious, or too poor, scorns this alliance, puts itself at the head of the democratic party, foments in the middle classes the spirit of antagonism against the nobles and the rich, leads them to the assault on the citadels of aristocratic and democratic power. Hence the mad internal struggles that redden Rome with blood and complicate so tragically, especially after the Gracchi, the external polity. The increasing wants of the members of all classes, the debts that are their inevitable consequence, the universal longing, partly unsatisfied for lack of means, for the pleasures of the subtle Asiatic civilisations, infused into this whole history a demoniac frenzy that to-day, after so many centuries, fascinates and appals us. To satisfy their wants, to pay their debts, the classes now set upon each other, each to rob in turn the goods of the other, in the cruelest civil war that history records; now, tired of doing themselves evil, they unite and precipitate themselves on the world outside of Italy, to sack the wealth that its owners do not know how to defend. In the great revolutions of Marius and Sulla, the democratic party is the instrument with which a part of the debt-burdened middle classes seek to rehabilitate themselves by robbing the plutocracy and the aristocracy yet opulent; but Sulla reverses the situation, makes a coalition of aristocrats and the miserable of the populace, and re-establishes the fortunes of the nobility, despoiling the wealthy knights and a part of the middle classes–a terrible civil war that leaves in Italy a hate, a despondency, a distress, that seem at a certain moment as if they must weigh eternally on the spirit of the unhappy nation. When, lo! there appears the strongest man in the history of Rome, Lucullus, and drags Italy out of the despondency in which it crouched, leads it into the ways of the world, and persuades it that the best means of forgetting the losses and ruin undergone in the civil wars, is to recuperate on the riches of the cowardly Orientals. As little by little the treasures of Mithridates, conquered by Lucullus in the Orient, arrive in Italy, Italy begins anew to divert itself, to construct palaces and villas, to squander in luxury. Pompey, envious of the glory of Lucullus, follows his example, conquers Syria, sends new treasures to Italy, carries from the East the jewels of Mithridates, and displaying them in the temple of Jove, rouses a passion for gems in the Roman women; he also builds the first great stone theatre to rise in Rome. All the political men in Rome try to make money out of foreign countries: those who cannot, like the great, conquer an empire, confine themselves to blackmailing the countries and petty states that tremble before the shadow of Rome; the courts of the secondary kings of the Orient, the court of the Ptolemies at Alexandria,–all are invaded by a horde of insatiable senators and knights, who, menacing and promising, extort money to spend in Italy and foment the growing extravagance. The debts pile up, the political corruption overflows, scandals follow, the parties in Rome rend each other madly, though hail-fellow-well-met in the provinces to plunder subjects and vassals. In the midst of this vast disorder Cæsar, the man of destiny, rises, and with varying fortune makes a way for himself until he beckons Italy to follow him, to find success and treasures in regions new–not in the rich and fabulous East, but beyond the Alps, in barbarous Gaul, bristling with fighters and forests. But this insane effort to prey on every part of the Empire finally tires Italy; quarrels over the division of spoils embitter friends; the immensity of the conquests, made in a few years of reckless enthusiasm, is alarming. Finally a new civil war breaks out, terrible and interminable, in which classes and families fall upon each other anew, to tear away in turn the spoils taken together abroad. Out of the tremendous discord rises at last the pacifier, Augustus, who is able gradually, by cleverness and infinite patience, to re-establish peace and order in the troubled empire. How?–why? Because the combination of events of the times allows him to use to ends of peace the same forces with which the preceding generations had fomented so much disorder–desires for ease, pleasure, culture, wealth growing with the generations making it. Thereupon begins in the whole Empire universal progress in agriculture, industry, trade, which, on a small scale, may be compared to what we to-day witness and share; a progress for which, then as now, the chief condition was peace. 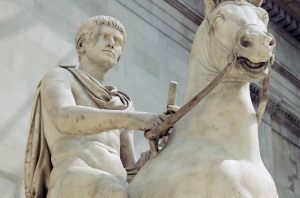 As soon as men realised that peace gives that greater wealth, those enjoyments more refined, that higher culture, which for a century they had sought by war, Italy became quiet; revolutionists became guardians and guards of order; there gathered about Augustus a coalition of social forces that tended to impose on the Empire, alike on the parts that wished it and those that did not, the Pax Romana. Now all this immense story that fills three centuries, that gathers within itself so many revolutions, so many legislative reforms, so many great men, so many events, tragic and glorious, this vast history that for so many centuries holds the interest of all cultured nations, and that, considered as a whole, seems almost a prodigy, you can, on the track of the old idea of “corruption,” explain in its profoundest origins by one small fact, universal, common, of the very simplest–something that every one may observe in the limited circle of his own personal experience,–by that automatic increase of ambitions and desires, with every new generation, which prevents the human world from crystallising in one form, constrains it to continual changes in material make-up as well as in ideals and moral appearance. In other words, every new generation must, in order to satisfy that part of its aspirations which is peculiarly and entirely its own, alter, whether little or much, in one way or another, the condition of the world it entered at birth. We can then, in our personal experiences every day, verify the universal law of history–a law that can act with greater or less intensity, more or less rapidity, according to times and places, but that ceases to authenticate itself at no time and in no place. The United States is subject to that law to-day, as is old Europe, as will be future generations, and as past ages were. Moreover, to understand at bottom this phenomenon, which appears to me to be the soul of all history, it is well to add this consideration: It is evident that there is a capital difference between our judgment of this phenomenon and that of the ancients; to them it was a malevolent force of dissolution to which should be attributed all in Roman history that was sinister and dreadful, a sure sign of incurable decay; that is why they called it “corruption of customs,” and so lamented it. To-day, on the contrary, it appears to us a universal beneficent process of transformation; so true is this that we call “progress” many facts which the ancients attributed to “corruption.” It were useless to expand too much in examples; enough to cite a few. In the third ode of the first book, in which he so tenderly salutes the departing Virgil, Horace covers with invective, as an evil-doer and the corrupter of the human race, that impious being who invented the ship, which causes man, created for the land, to walk across waters. Who would to-day dare repeat those maledictions against the bold builders who construct the magnificent trans-Atlantic liners on which, in a dozen days from Genoa, one lands in Boston or New York? “Coelum ipsum petimus stultitia,” exclaims Horace–that is to say, in anticipation he considered the Wright brothers crazy. Who, save some man of erudition, has knowledge to-day of sumptuary laws? We should laugh them all down with one Homeric guffaw, if to-day it entered somebody’s head to propose a law that forbade fair ladies to spend more than a certain sum on their clothes, or numbered the hats they might wear; or that regulated dinners of ceremony, fixing the number of courses, the variety of wines, and the total expense; or that prohibited labouring men and women from wearing certain stuffs or certain objects that were wont to be found only upon the persons of people of wealth and leisure. And yet laws of this tenor were compiled, published, observed, up to two centuries ago, without any one’s finding it absurd. The historic force that, as riches increase, impels the new generations to desire new satisfactions, new pleasures, operated then as to-day; only then men were inclined to consider it as a new kind of ominous disease that needed checking. To-day men regard that constant transformation either as beneficent, or at least as such a matter of course that almost no one heeds it; just as no one notices the alternations of day and night, or the change of seasons. On the contrary, we have little by little become so confident of the goodness of this force that drives the coming generation on into the unknown future, that society, European, American, among other liberties has won in the nineteenth century, full and entire, a liberty that the ancients did not know–freedom in vice. To the Romans it appeared most natural that the state should survey private habits, should spy out what a citizen, particularly a citizen belonging to the ruling classes, did within domestic walls–should see whether he became intoxicated, whether he were a gourmand, whether he contracted debts, spending much or little, whether he betrayed his wife. The age of Augustus was cultured, civilised, liberal, and in many things resembled our own; yet on this point the dominating ideas were so different from ours, that at one time Augustus was forced by public opinion to propose a law on adultery by which all Roman citizens of both sexes guilty of this crime were condemned to exile and the confiscation of half their substance, and there was given to any citizen the right to accuse the guilty. Could you imagine it possible to-day, even for a few weeks, to establish this regime of terror in the kingdom of Amor? But the ancients were always inclined to consider as exceedingly dangerous for the upper classes that relaxing of customs which always follows periods of rapid enrichment, of great gain in comforts; behind his own walls to-day, every one is free to indulge himself as he will, to the confines of crime. How can we explain this important difference in judging one of the essential phenomena of historic life? Has this phenomenon changed nature, and from bad, by some miracle, become good? Or are we wiser than our forefathers, judging with experience what they could hardly comprehend? There is no doubt that the Latin writers, particularly Horace and Livy, were so severe in condemning this progressive movement of wants because of unconscious political solicitude, because intellectual men expressed the opinions, sentiments, and also the prejudices of historic aristocracy, and this detested the progress of ambitio, avaritia, luxuria, because they undermined the dominance of its class. On the other hand, it is certain that in the modern world every increase of consumption, every waste, every vice, seems permissible, indeed almost meritorious, because men of industry and trade, the employees in industries–that is, all the people that gain by the diffusion of luxuries, by the spread of vices or new wants–have acquired, thanks above all to democratic institutions, and to the progress of cities, an immense political power that in times past they lacked. If, for example, in Europe the beer-makers and distillers of alcohol were not more powerful in the electoral field than the philosophers and academicians, governments would more easily recognise that the masses should not be allowed to poison themselves or future generations by chronic drunkenness. 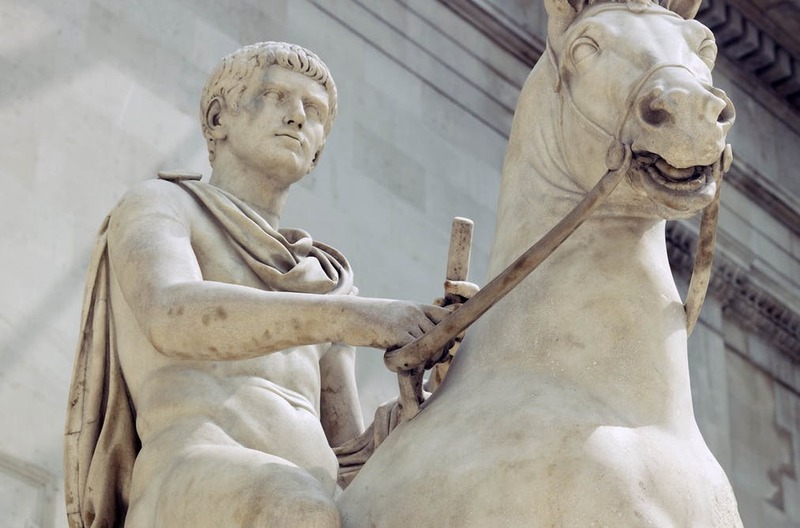 Between these two extremes of exaggeration, inspired by a self-interest easy to discover, is there not a true middle way that we can deduce from the study of Roman history and from the observation of contemporary life? In the pessimism with which the ancients regarded progress as corruption, there was a basis of truth, just as there is a principle of error in the too serene optimism with which we consider corruption as progress. This force that pushes the new generations on to the future, at once creates and destroys; its destructive energy is specially felt in ages like Cæsar’s in ancient Rome and ours in the modern world, in which facility in the accumulation of wealth over-excites desires and ambitions in all classes. They are the times in which personal egoism–what to-day we call individualism–usurps a place above all that represents in society the interest of the species: national duty, the self-abnegation of each for the sake of the common good. Then these vices and defects become always more common: intellectual agitation, the weakening of the spirit of tradition, the general relaxation of discipline, the loss of authority, ethical confusion and disorder. At the same time that certain moral sentiments refine themselves, certain individualisms grow fiercer. The government may no longer represent the ideas, the aspirations, the energetic will of a small oligarchy; it must make itself more yielding and gracious at the same time that it is becoming more contradictory and discordant. Family discipline is relaxed; the new generations shake off early the influence of the past; the sentiment of honour and the rigour of moral, religious, and political principles are weakened by a spirit of utility and expediency by which, more or less openly, confessing it or dissimulating, men always seek to do, not that which is right and decorous, but that which is utilitarian. The civic spirit tends to die out; the number of persons capable of suffering, or even of working, disinterestedly for the common good, for the future, diminishes; children are not wanted; men prefer to live in accord with those in power, ignoring their vices, rather than openly opposing them. Public events do not interest unless they include a personal advantage. This is the state of mind that is now diffusing itself throughout Europe; the same state of mind that, with the documents at hand, I have found in the age of Cæsar and Augustus, and seen progressively diffusing itself throughout ancient Italy. The likeness is so great that we re-find in those far-away times, especially in the upper classes, exactly that restless condition that we define by the word “nervousness.” Horace speaks of this state of mind, which we consider peculiar to ourselves, and describes it, by felicitous image, as strenua inertia–strenuous inertia,–agitation vain and ineffective, always wanting something new, but not really knowing what, desiring most ardently yet speedily tiring of a desire gratified. Now it is clear that if these vices spread too much, if they are not complemented by an increase of material resources, of knowledge, of sufficient population, they can lead a nation rapidly to ruin. 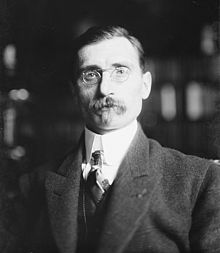 We do not feel very keenly the fear of this danger–the European-American civilisation is so rich, has at its disposal so much knowledge, so many men, so many instrumentalities, has cut off for itself such a measureless part of the globe, that it can afford to look unafraid into the future. The abyss is so far away that only a few philosophers barely descry it in the gray mist of distant years. But the ancient world–so much poorer, smaller, weaker–felt that it could not squander as we do, and saw the abyss near at hand. To-day men and women waste fabulous wealth in luxury; that is, they spend not to satisfy some reasonable need, but to show to others of their kind how rich they are, or, further, to make others believe them richer than they are. If these resources were everywhere saved as they are in France, the progress of the world would be quicker, and the new countries would more easily find in Europe and in themselves the capital necessary for their development. At all events, our age develops fast, and notwithstanding all this waste, abounds in a plenty that is enough to keep men from fearing the growth of this wanton luxury and from planning to restrain it by laws. In the ancient world, on the other hand, the wealthy classes and the state had only to abandon themselves a little too much to the prodigality that for us has become almost a regular thing, when suddenly means were wanting to meet the most essential needs of social life. 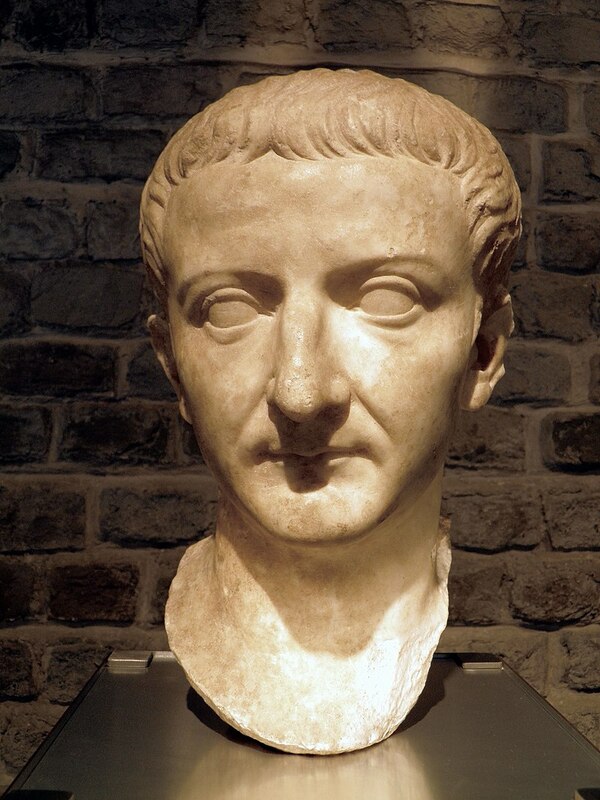 Tacitus has summarised an interesting discourse of Tiberius, in which the famous emperor censures the ladies of Rome in terms cold, incisive, and succinct, because they spend too much money on pearls and diamonds. “Our money,” said Tiberius, “goes away to India and we are in want of the precious metals to carry on the military administration; we have to give up the defence of the frontiers.” According to the opinion of an administrator so sagacious and a general so valiant as Tiberius, in the richest period of the Roman Empire, a lady of Rome could not buy pearls and diamonds without directly weakening the defence of the frontiers. Indulgence in the luxury of jewels looked almost like high treason. Similar observations might be made on another grave question–the increase of population. One of the most serious effects of individualism that accompanies the increase of civilisation and wealth, is the decrease of the birth-rate. France, which knows how to temper its luxury, which gives to other peoples an example of saving means for the future, has on the other hand given the example of egoism in the family, lowering the birth-rate. England, for a long time so fecund, seems to follow France. The more uniformly settled and well-to-do parts of the North American Union, the Eastern States and New England, are even more sterile than France. However, no one of these nations suffers to-day from the small increase of population; there are yet so many poor and fecund peoples that they can easily fill the gaps. In the ancient world this was not the case; population was always and everywhere so scanty that if for some reason it diminished but slightly, the states could not get on, finding themselves at the mercy of what they called a “famine of men,” a malady more serious and troublesome than over-population. In the Roman Empire the Occidental provinces finally fell into the hands of the barbarians, chiefly because the Græco-Latin civilisation sterilised the family, reducing the population incurably. No wonder that the ancients applied the term “corruption” to a momentum of desires which, although increasing culture and the refinements of living, easily menaced the sources of the nation’s physical existence. There is, then, a more general conclusion to draw from this experience. It is not by chance, nor the unaccountable caprice of a few ancient writers, that we possess so many small facts on the development of luxury and the transformation of customs in ancient Rome; that, for example, among the records of great wars, of diplomatic missions, of catastrophes political and economic, we find given the date when the art of fattening fowls was imported into Italy. The little facts are not so unworthy of the majesty of Roman history as one at first might think. Everything is bound together in the life of a nation, and nothing without importance; the humblest acts, most personal and deepest hidden in the penetralia of the home, that no one sees, none knows, have an effect, immediate or remote, on the common life of the nation. There is, between these small, insignificant facts and the wars, the revolutions, the tremendous political and social events that bewilder men, a tie, often invisible to most people, yet nevertheless indestructible. Nothing in the world is without import: what women spend for their toilet, the resistance that men make from day to day to the temptations of the commonest pleasures, the new and petty needs that insinuate themselves unconsciously into the habits of all; the reading, the conversations, the impressions, even the most fugacious that pass in our spirit–all these things, little and innumerable, that no historian registers, have contributed to produce this revolution, that war, this catastrophe, that political overturn, which men wonder at and study as a prodigy. The causes of how many apparently mysterious historical events would be more clearly and profoundly known, of how many periods would the spirit be better understood, did we only possess the private records of the families that make up the ruling classes! Every deed we do in the intimacy of the home reacts on the whole of our environment. With our every act we assume a responsibility toward the nation and posterity, the sanction for which, near or far away, is in events. This justifies, at least in part, the ancient conception by which the state had the right to exercise vigilance over its citizens, their private acts, customs, pleasures, vices, caprices. This vigilance, the laws that regulated it, the moral and political teachings that brought pressure to bear in the exercise of these laws, tended above all to charge upon the individual man the social responsibility of his single acts; to remind him that in the things most personal, aside from the individual pain or pleasure, there was an interest, a good or an evil, in common. Modern men–and it is a revolution greater than that finished in political form in the nineteenth century–have been freed from these bonds, from these obligations. Indeed, modern civilisation has made it a duty for each one to spend, to enjoy, to waste as much as he can, without any disturbing thought as to the ultimate consequences of what he does. The world is so rich, population grows so rapidly, civilisation is armed with so much knowledge in its struggle against the barbarian and against nature, that to-day we are able to laugh at the timid prudence of our forefathers, who had, as it were, a fear of wealth, of pleasure, of love; we can boast in the pride of triumph that we are the first who dare in the midst of a conquered world, to enjoy–enjoy without scruple, without restriction–all the good things life offers to the strong. But who knows? Perhaps this felicitous moment will not last forever; perhaps one day will see men, grown more numerous, feel the need of the ancient wisdom and prudence. It is at least permitted the philosopher and the historian to ask if this magnificent but unbridled freedom which we enjoy suits all times, and not only those in which nations coming into being can find a small dower in their cradle as you have done–three millions of square miles of land! Originally published in Characters and Events in Roman History, G.P. Putnam’s Sons, 1909, republished under a public domain license.